Mai Couture - Beautifying Paper. Mai Couture, since receiving these skincare papers. I've become highly interested in the brand. They have a good concept within their range, from paper makeup and paper skincare. I've got 3 blotting papers from the range. 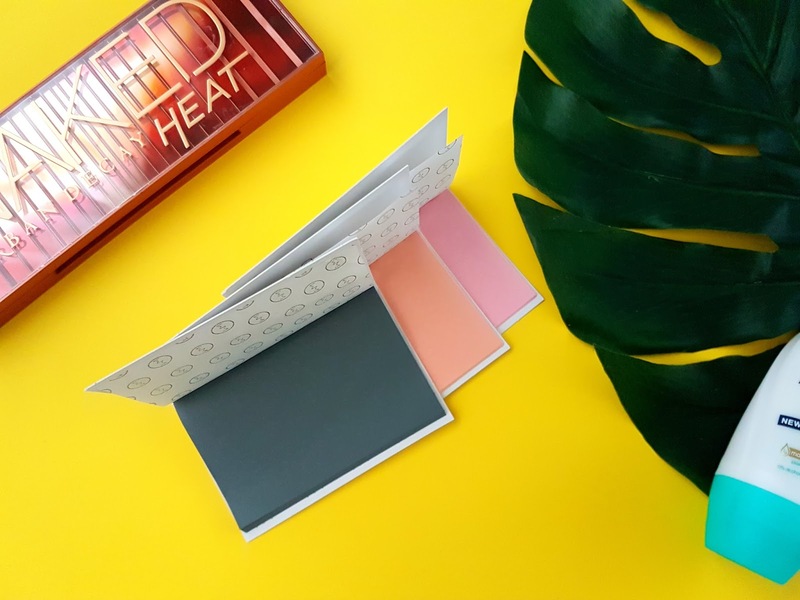 Blotting papers I'm no stranger to and when I look back they're pretty handy for the warmer weather and even for those oily moments that us oily skin types can attest too. The packaging of these are eye catching, a booklet with a marble background and gold embossed logo, they are sure to take pride within and outside any bag. Each booklet has 60 tear, apply and toss sheets. Bamboo Charcoal - Help absorb skin impurities and toxins with Mai Couture’s Bamboo Charcoal Blotting Papier. Effective at drawing out pollutants, bamboo charcoal absorbs bacteria, toxins, and micro-particles from the skin. Rosehip Oil - Experience the benefits of rose hip oil with Mai Couture’s convenient and efficient blotting papers. Nourished with essential fatty acids, vitamin E, vitamin C and B-carotene—rose hip oil penetrates deep into the skin to combat signs of aging. Remove unwanted facial oil, while help reducing fine lines and wrinkles and balancing your skin’s moisture. Vitamin C + E - These ultra soft, hypoallergenic blotting papers are infused with therapeutic Vitamin C+E making them the ideal travel companion for stress-free skin at a moment’s notice. Use under makeup for a relaxing therapeutic treatment or over makeup to freshen up without disturbing it. Blotting papers are highly absorbing, they're dust and lint free. So you never have to worry about them transferring anything onto your face once you're blotting that oily excess away. Simple to use: Hold sheet on skin and lightly rub using the fingertips to release ingredients. Use both sides of the sheet and as required until paper becomes transparent. Mai Couture blotting paper each has it's own distinctive colour. The Rosehip is a pink, the vitamin C+E a peachy orange and the charcoal a grey-black. I don't detect any fragrance so those with sensitive skin, need not worry. These are extremely handy for my skin as oil attacks strike whenever. It's easy for me to freshen up my face with or without makeup and view the now transparent paper that has now transferred the oil from my face. Totally satisfying, as I'm then left with a matte finish to the skin and one less thing to worry about. Better yet, my makeup is never disturbed. I think we should all have blotting papers within our bags. And right now; I'm recommending these fabulous packaged, skincare efficient and oil removing beauty police papers. You can purchase these at BeautyMART £10 each. Have you used blotting papers before? If so, do you love or hate? Let me know your views below! 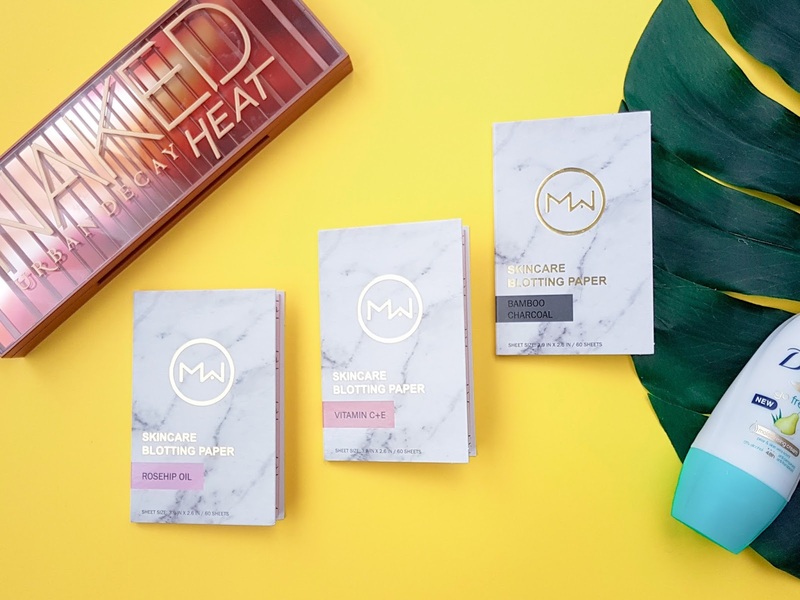 I'd never heard of blotting paper for your face before, but these actually look like a great idea - I'll have to check them out! They're very useful. Especially on humid days or if you're prone to oily skin. I haven't used blotting papers for ages, I found they always got messed up in my make up bag. Really need to try them again. Oh no. I like that these you can purchase a wallet. Might be an idea for the future finding a holder for them. Roseship oil sounds interesting to me and it's great that they're also priced quite well and are affordable too! I adore Rosehip oil in anything. So I loved to see it in my blotting papers. My skin is really dry so I never use blotting sheets. But I do not mind using the pallet it is great for doing a quick look. My skin can get dry in the winter which is such a pain but my forehead loves to remain oily lol. I've not used blotting papers for a long time. my skin is pretty good but always handy to have around aren't they?